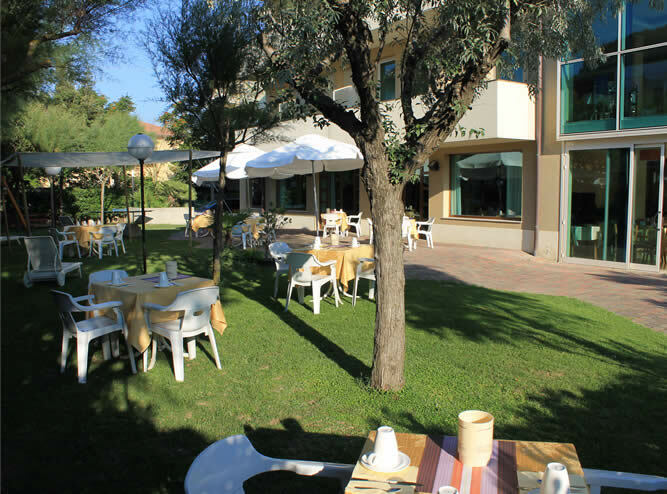 Astor Hotel is a typical Romagna Hotel with restaurant, situated in Lido di Classe. 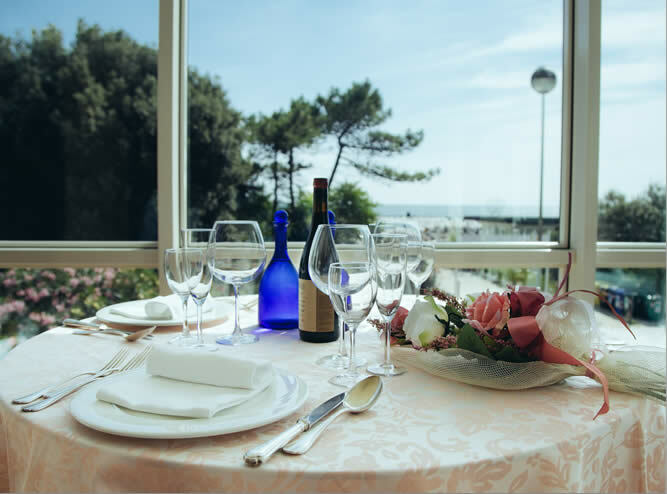 Our 3-star hotel, on the first floor, features a panoramic, air-conditioned restaurant with sea view. Every day our chef will pamper you with a rich menu: 4 first and 4 second course with fish or meat, rich buffet of side dishes, salads as well es excellent desserts. We pay special attention to the choice of raw materials and to the preparation of each dish, to bring to your table the most authentic tastes of the Romagna tradition and beyond. The service is done by the waiters directly at the table, and you can help yourself at the buffet. In the evening, to complete dinner, you will be offered also our cheese mix, where you can choose the one you like. 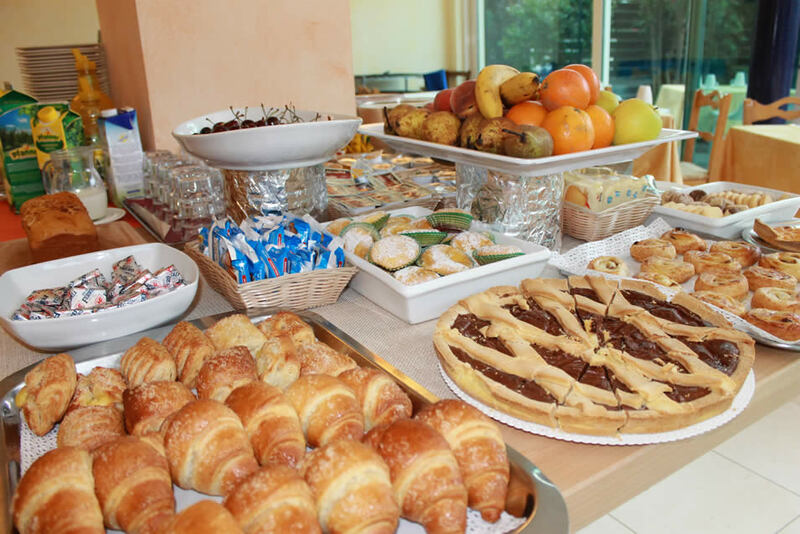 Our breakfast, with a rich buffet, is served in the veranda and also in our garden. In our garden we also regularly organize dinners with outdoor barbecues.